Amy Wax, a University of Pennsylvania law professor, has come under attack and scathing criticism because she dared criticize the school’s racial preferences program. 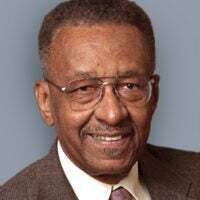 In an interview with Brown University economist Glenn Loury, discussing affirmative action, Wax mentioned how racial preferences hinder the ability of blacks to succeed academically by admitting them into schools at which they are in over their heads academically. At Penn’s seventh-ranked law school, Wax said, she doesn’t think that she has ever seen a black law student graduate in the top quarter of his class, and “rarely” is a black student in the top half. That got her into deep trouble. 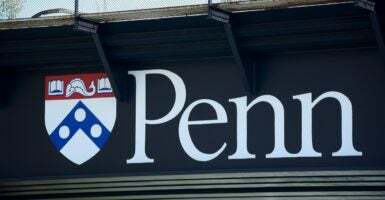 Penn students and faculty members charged her with racism. Penn Law School Dean Ted Ruger stripped Wax of her duty of teaching her mandatory first-year class on civil procedures. I’m guessing that Penn’s law faculty members know Wax’s statement is true but think it was something best left unsaid in today’s racially charged climate. Ruger might have refuted Wax’s claim. He surely has access to student records. He might have listed the number of black law students who were valedictorians and graduated in the top 10 percent of their class. He rightfully chose not to—so as to not provide evidence for Wax’s claim. One study suggests that Wax is absolutely right about academic mismatch. In the early 1990s, the Law School Admission Council collected 27,000 law student records, representing nearly 90 percent of accredited law schools. The study found that after the first year, 51 percent of black law students ranked in the bottom 10th of their class, compared with 5 percent of white students. Two-thirds of black students were in the bottom fifth of their class. Only 10 percent of blacks were in the top half of their class. Twenty-two percent of black students in the LSAC database hadn’t passed the bar exam after five attempts, compared with 3 percent of white test takers. The University of Pennsylvania controversy highlights something very important to black people and the nation. The K-12 education that most blacks receive is grossly fraudulent. Most predominately black schools are costly yet grossly inferior to predominately white schools and are in cities where blacks hold considerable political power, such as Baltimore, Detroit, Chicago, and Philadelphia. In these and other cities, it’s not uncommon for there to be high schools where less than 17 percent of the students test proficient in reading, and often not a single student in such schools tests proficient in math. Nonetheless, many receive high school diplomas. It’s inconceivable that college administrators are unaware that they are admitting students who are ill-prepared and have difficulty performing at the college level. There’s no way that four or five years of college can repair the academic damage done to black students throughout their 13 years of primary and secondary education. Partial proof is black student performance at the postgraduate level, such as in law school. Their disadvantage is exaggerated when they are admitted to prestigious Ivy League law schools. It’s as if you asked a trainer to teach you how to box and the first fight he got you was with Anthony Joshua or Floyd Mayweather. You might have the potential to ultimately be a good boxer, but you’re going to get your brains beaten out before you learn how to bob and weave. The fact that black students have low class rankings at such high-powered law schools as Penn doesn’t mean that they are stupid or uneducable. It means that they’ve been admitted to schools where they are in over their heads. To admit these students makes white liberals feel better about themselves. It also helps support the jobs of black and white university personnel in charge of diversity and inclusion. The question for black people is whether we can afford to have the best of our youngsters demeaned, degraded, and possibly destroyed to make white liberals feel better about themselves. You might ask, “Williams, without affirmative action, what would the University of Pennsylvania Law School do about diversity and inclusion?” I’d say that’s Penn’s problem.